VIP Ticket Packages for all dates will sell through the venue’s ticketing platform (most use Ticketmaster). Visit the EVENTS page for all dates and ticketing links. Here is what the stage set-up will look like, most fans were disappointed since there is not much fluidity. Justin Timberlake’s stage set-up is what we thought the tour might look like or AT LEAST have a party pit option again. Map of Mixtape Concert Tour and appearances Cities, Dates, and days of the week. Color coded by month! Here’s what Justin Timberlake’s Tour stage set-up looks like. It’s chalked full of areas for movement and fan interaction. 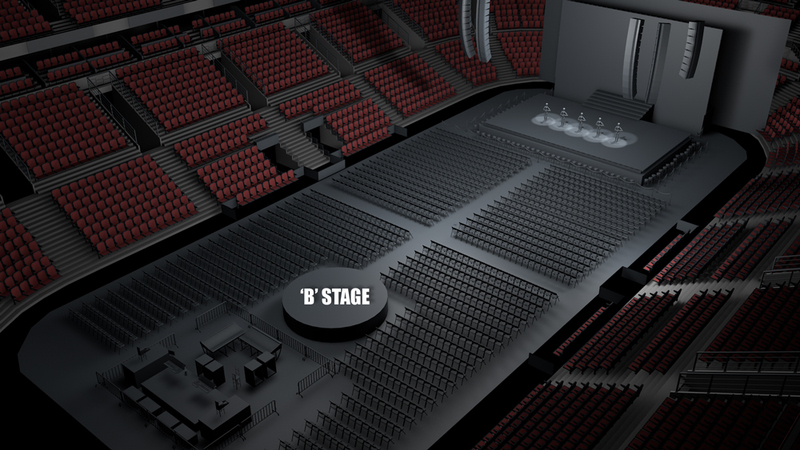 This stage includes Party Pit and Floor tickets that are standing room only….aka dancing!! Fans weigh in on the new Mixtape Tour STAGE SET-UP, the disappointment and the night before’s Apollo Performance! Click below to see full video!! * VIP package details & pricing vary by show. Visit the ticket purchase site for exact package details, pricing, & locations. * Due to a new Ticketmaster policy, there will be a ticket service fee on top of the VIP package price. In prior years, package pricing included ticketing fees. 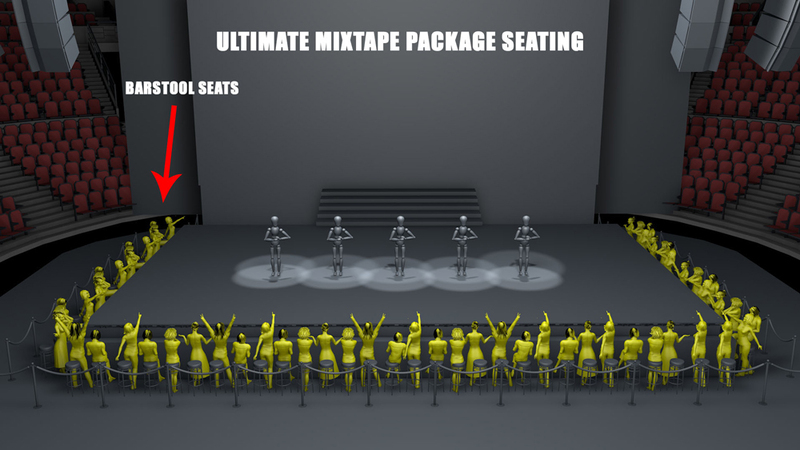 VIP package prices have been adjusted for this new change. In order to qualify for the individual Meet & Greet Upgrade, you must purchase an Ultimate Mixtape, 5 Star Plus or 5 Star VIP package. 4 Star Package & general ticket purchasers are not eligible for the upgrade option. The bar stool seating looks great, but I wouldn’t want to be the one looking at their backside all night. Thanks for posting! this is a dream come true. every concert my mom didnt let me go to, rolled into one.